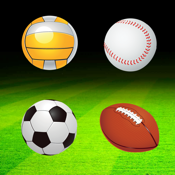 Enjoy Playing Sports Matching Games Memory puzzle and free download today! Sports Matching Games is an excellent exercise for your brain and has plenty of unique features! It's a great entertainment for kids and adults! The Kids Match Free pairs of cards Puzzle is a simple and funny puzzles, ideal for your children because they will train their brain, imagination and creativity while having fun. Tap on one of the card and remember the picture on it. With the next tap try to find and flip the card with the same picture as previous one. If the pictures on the both memory cards will be the same, they will stay opened and you can continue with the next pair. Otherwise both cards will flip back over and you will get another try. Try to find all matched cards as fast as possible. 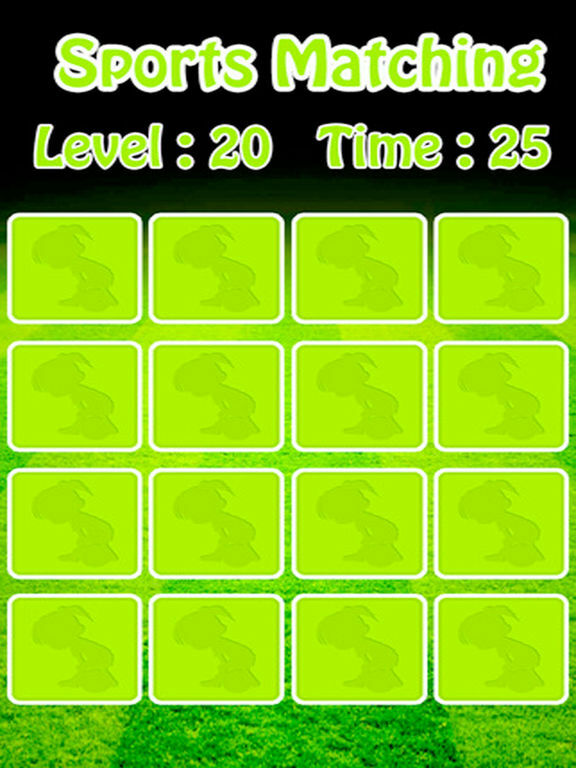 - different 20 levels of difficulty. - kids memory game has beautiful images Sports Matching Games , Football , Basketball , America Football , Volleyball , snooker , Sport. It is an educational game for kids Free, because it has been demonstrated that resolving puzzles helps in the development of skills and abilities of children, such as creativity, spatial skills, language and self- esteem. Sports Matching Games for kids is the classic board game, which help develop memory skills of children. Playing this game with your kids will help them improve their recognition while having fun. Game for kids contains very cute images of Sports Matching Games which are on memory cards. 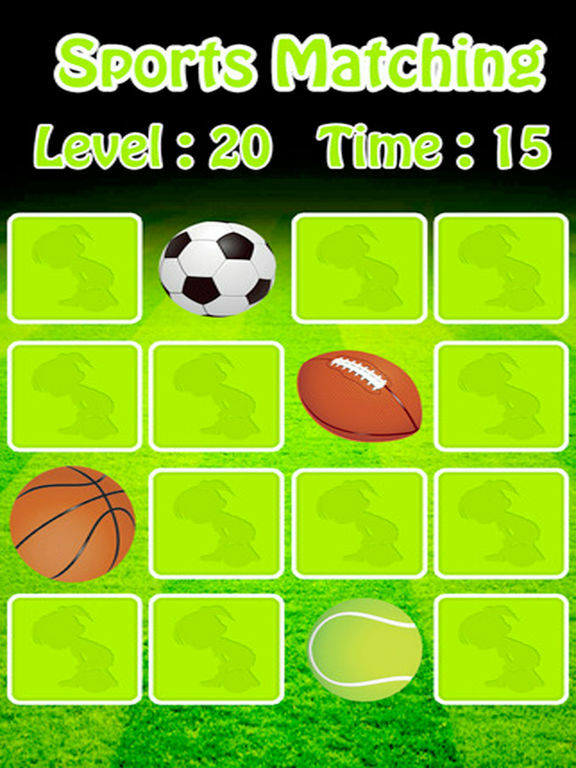 Sports Matching Games Free memory game for kids is a game for children of all ages, babies, preschoolers, school children and teens. Especially Boys will love this game. - Simple and intuitive interface which is easy to use and easy to play, specially designed for children. 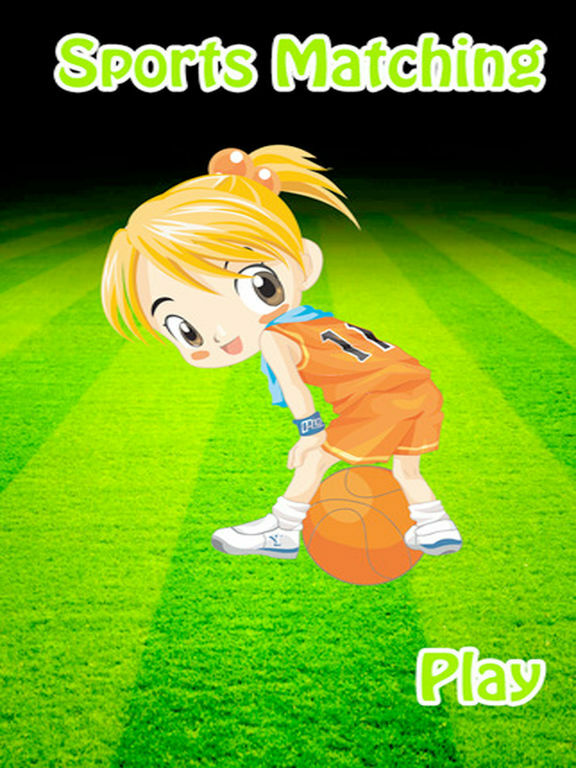 - Sports Matching Games for kids is also optimized for tablets (provide HD pictures). - This free Pirates Kids memory game for kids will keep your kids quiet and entertained in car, in a restaurant or everywhere. NOTE: If you share these Game to your friend and I believe will give your friends a surprise.